The journey is not an easy one. Most engineers can’t even see the finish line, let alone complete the race. The future of our industry hangs in balance and this is a competition that must be won – one way or another. 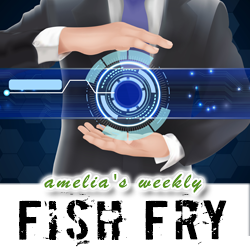 In this week’s fish fry, we investigate the perilous path to new material discovery with Chris Kramer of Intermolecular. Chris and I discuss the materials discovery process, the subtle interaction between process tools and new materials, and the challenges and opportunities new materials can bring. Also this week, we take a closer look at a new type of 3D printed material developed at the Hasso-Plattner-Institute, in Potsdam, Germany that can make simple machines out of 3D printed plastic.